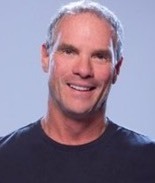 Steve Lehman, is a successful serial entrepreneur and investor with an extensive financial and business background. He has been CEO of both NASDAQ and NYSE companies. He is the Chairman of Business Rockstars and CoFoundersLab. Steve was the Founder, & CEO of the largest radio network in the United States, Premiere Networks. Lehman was also a first round investor in Mark Cuban’s Broadcast.com.